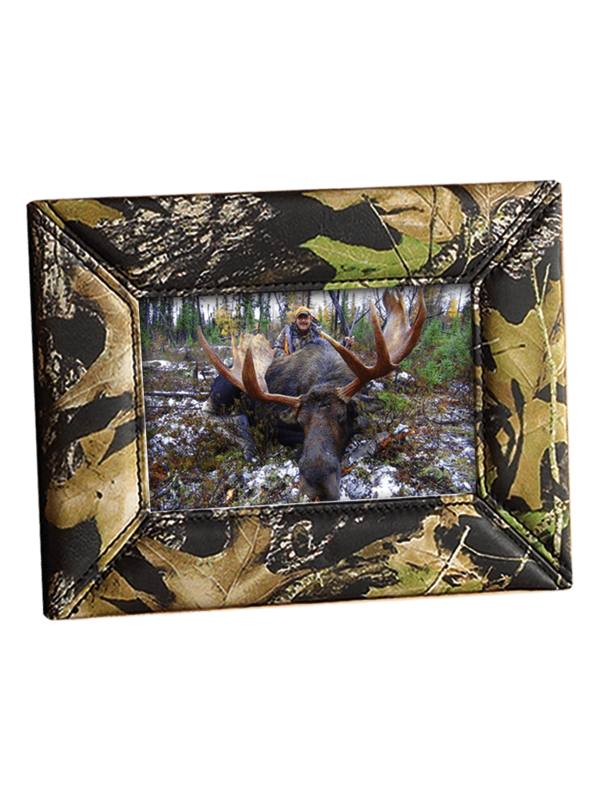 Picture this: your biggest buck or best hunting buddy framed in camo leather. It just doesn't get any better! Available in a variety of sizes that hold standard photographs.